The California State University (CSU) system — in a move to deliver affordable course materials to more than 50,800 faculty and 497,000 students across its 23 campuses — has partnered with a company that provides access to millions of digital textbooks and digital-authoring tools for open educational resources (OER). CSU announced a new partnership with VitalSource yesterday at the Online Learning Consortium Innovate conference in New Orleans. CSU faculty and students will be able to access CSU-created OER materials and other digital content on the VitalSource Bookshelf Platform. Image credit: VitalSource. CSU is turning to the VitalSource Bookshelf platform, used by more than 7,000 institutions, to consolidate the system’s academic and workforce development open educational resources into a single platform. According to a CSU statement, the MERLOT, SkillsCommons and COOL4Ed projects will now be available on Bookshelf for educators and campuses interested in adopting OER. Users can also create or revise OER content with VitalSource Content Studio, a digital authoring tool for putting together “standards-based, responsive, interactive and accessible content,” and then deliver that content to students via Bookshelf, according to the statement. Students can access the digital materials available on Bookshelf via iPad, Android, Kindle and Chromebook devices, both online and offline. 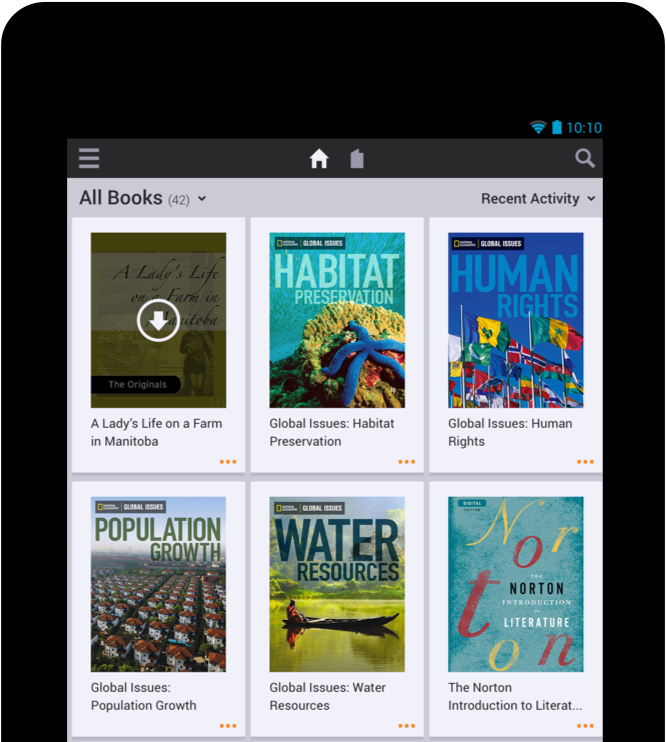 (The platform allows users to download digital books on up to two computers and two mobile devices at a time.) Students can interact with the texts — adding notes and highlighting passages — and quickly navigate between pages and sections. Further information is available on the VitalSource site.